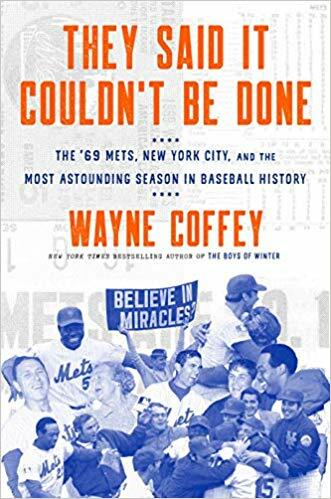 Brooklyn Digest: A Conversation With Wayne Coffey, Author Of "They Said It Couldn't Be Done"
JS: What was your reaction to the sad news that Seaver won't be making any more public appearances? WC: I wasn't surprised because I knew that he really hasn't been doing well for some time and that the onset of his dementia had seemingly accelerated the last year or two. Of course, it was terribly sad, but for all of the epic achievements of this team in 1969, there's been a lot of sadness, tragedy around this team, from Gil Hodges' death on Easter Sunday just three years later in 1972, to General Manager Johnny Murphy dying ten weeks after the ticker-tape parade. Then, (outfielder) Tommie Agee died young, about twenty years ago, (first baseman) Donn Clendenon was still a pretty young man, so there's been loss and there's been profound sadness around this team, which to me makes this more important to salute what they did and celebrate the guys that are still here. JS: Do you think it's time for Gil Hodges to be in the Hall of Fame? 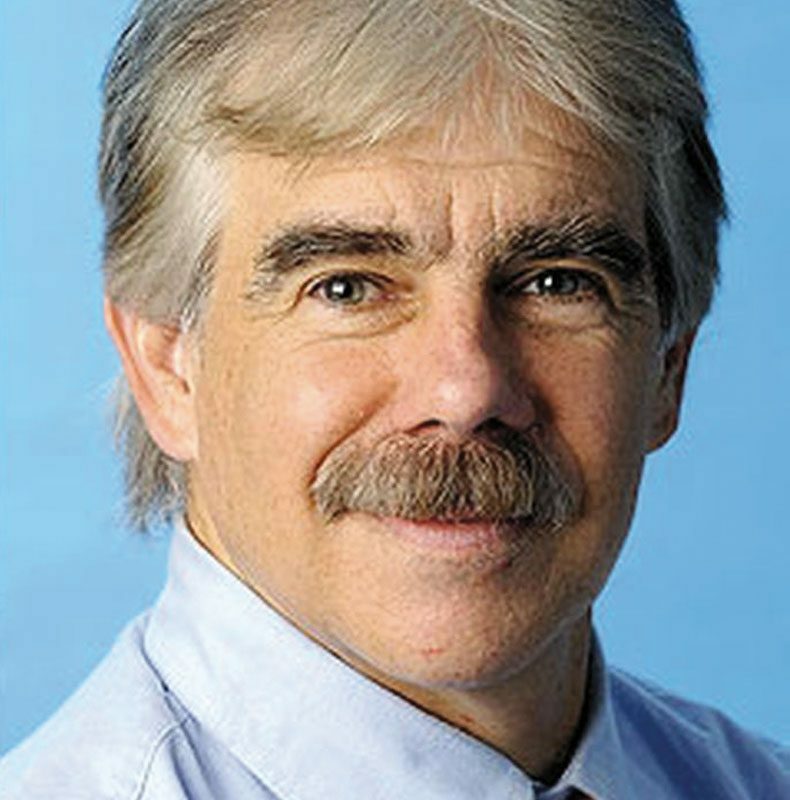 WC: Long overdue, in my mind, long, long overdue. I love the Baseball Hall of Fame, my daughter used to work there, I've been going there since I was a kid and I revere the place. I know it's a super-select club and it should be, but it's not just kind of squishy nostalgia to say that Gil Hodges belongs because he absolutely does. I believed he belonged, without doubt, as a player. He hit 370 home runs, which was the most by any right-handed National League hitter at the time of his retirement; he was a brilliant first baseman, he was a standout on a World Championship team in '55 and a bunch of other great Dodger teams, pennant-winning teams in the '50s, and then what he did as a manager with the Mets, I mean, to me, that just cements it. Every single person on that team who I spoke to said, 'without Gil Hodges, this doesn't happen,' and you just can't minimize the brilliant leadership that he brought to that franchise. He arrived early in the spring of 1968, and he was the proverbial new sheriff in town, and he basically said day one, 'the lovable loser stuff is over. We're not doing that anymore. We're going to play the game right, we're gonna be fundamentally sound, we've got some great young players, and then he methodically and brilliantly put this all together, and I think his real genius was the way that he made everyone feel a part of this whole. The individual parts of the Mets were not all that impressive. Sure, they had great pitching, but you look at the offensive stats, they were bottom-feeders in the National League in every category. They did this by getting contributions from up and down the roster and the results speak for themselves. WC: He did, and a lot of the so-called role players on that team, guys like Al Weis and Duffy Dyer, J.C. Martin, they were made to feel - and those guys just revered Gil Hodges - no one ever made them feel more vital to the whole operation. It's funny you mention Gil, Jr., in my interview with him, he told me a story of when he was sitting in his father's office before the World Series studying the statistics of the Mets and the mighty Baltimore Orioles who won 109 games and had Hall of Famers all over the place, guys with really impressive numbers, pitching and hitting. WC: Massive. The Orioles won 109 games - if they weren't the 1927 Yankees, they weren't far from it. They were considered a huge favorite. I forget what the odds were (for the Series), the Mets were 100-1 at the start of the year, and they were heavy underdogs. Seaver lost game one in Baltimore and then everyone thought it was really over.There was a famous quote from Frank Robinson when a reporter asked him before the Series began, 'what do you think of these Mets, the team of destiny?' and how long the Series would go, and Robinson said, 'well, the Birds haven't decided yet, it could be four games, five games, we're not so sure.' It did go five games, he just had the wrong winner. They won Game One and never one again. WC: I actually did something similar with a book I wrote a number of years ago that's actually still around and actually chugging along on the 1980 Olympic hockey team called The Boys of Winter, and that is built around the game against the Soviets in Lake Placid. I start with the dropping of the puck in Lake Placid, but then I kind of stop the game and then I go and tell the story of Mark Johnson, the strong center on that team from Madison, Wisconsin, and then I go back to the game, and then I tell the story of Mike Eruzione or Jim Craig. It's sort of a similar structure, and I thought it worked then and it's a little different now because it's not one game that I hang it on, it's really a whole season. It was a challenge to put together, and to me, it was a project of complete passion because I lived this as a kid. I was 15 years old in '69 in Huntington, Long Island. My family was originally from Brooklyn and Queens, but they moved out there after the War, and I was a Met nut and, in fact, I was at Game 5 (against Baltimore) and ran on the field with the other lunatics. My editor encouraged me to add other people's points of view here, let's tell the story through other people's eyes. I tracked down the bat boys, and the more that you can weave together different pieces of fabric, the better the quilt is. WC: This is a story that's going to be told all year. Just think of what happened in 1969, the moon landing, Woodstock, the sweeping nationwide anti-war protests. In New York City, it was just a crazy year politically, with Mayor John Lindsay running for re-election, then losing the Republican primary, and he looked like he was toast. Basically what he did was, you know, being a politician, nobody is better at manipulating things than those guys, and he attached himself to the Mets. He probably didn't know Cleon Jones from Willie Mays, but next thing you know, here's Mayor Lindsay in the Mets locker room every two minutes, yeah, 'here are my guys, the New York Mets!' and he rode that all the way to re-election. WC: You know, the Mets are , unlike the Yankees, they're a bit more judicious, and I don't think we'll see Ed's number retired, but I think his place in Mets history is secure for sure. I still remember he was the only guy from the '62 Mets who played in the '69 World Series. He was the only one left, and at the time, he had seven years in the major leagues and he was only 24 - that's hard to do. He was drafted, and I remember it so vividly, he was this 17-year-old high school kid out of James Monroe in The Bronx who was actually a Yankee fan, who broke Hank Greenberg's home run records, and was the most-prized young slugger in the country. The Mets signed him, and here he was, amid this horrible 40-120 year, the embodiment of hope, this big, strong kid who could mash it. Ed had a really solid career. He made the All-Star team at age 20, ended up being a record-breaking pinch-hitter later in his career, played a good first base and was a huge part of the '69 team. He's just a great guy, New York guy through and through. I think it was a great choice to have him catch the pitch from Gil Jr. on Opening Day. WC: I spent about four or five hours with Ed and it was some of the most wonderful time I spent with anyone on the team. Ed passed early last year, and he lived in East Elmhurst, Queens. Ed Charles' passage to the major leagues and to this pinnacle was really unlike any other's. He was the oldest guy on the team that year, he was 36, and he was old enough that he really came along, and in a baseball sense, he was almost like Jackie Robinson's little brother. He was 14 years old when Jackie Robinson broke the color barrier, and he saw Jackie play in spring training with the Dodgers that year, in '47. It was a life-changing experience for him. Ed grew up in Daytona, Florida, with every kind of obstacle you could imagine, crushing poverty, deprivation, violence in his own home, he was homeless for awhile, abandoned by his parents, I mean, you name it, Ed Charles had to deal with it, and yet, he somehow remained this sunny soul who believed that he could make his own big-league dreams come true. He told me, and it was really one of the most powerful things that I'd heard from anyone, he told me what it was like to see, in this profoundly segregated world that he lived in, to see Jackie Robinson, a man with the same color skin as his, on the field, on a big-league ballfield with white players and he said it was like everything you dreamed of right before your eyes. Ed Charles ended up signing with the then-Milwaukee Braves and had great years in the minor leagues but never got called up because, even though baseball was theoretically integrated, there were limits to that integration. There was an unstated quota system and couldn't have too many people of color, so even he should have gotten called up to the major leagues at age 24 or 25, and it ended up happening at age 29 with the Kansas City Athletics, and then he was traded to the Mets. The last game of the 1969 World Series was last game Ed Charles ever played, and he sort of became, in a lot of ways, the spiritual soul of the '69 Mets. He was the resident poet and a man that Gil Hodges trusted implicitly and was a huge, huge part of what happened. WC: I think you're right, she doesn't really get her due. She was the first woman to ever purchase a team with her own funds, and that makes her pretty important. She grew up rooting for the Giants and she had old family money and prominence. Her family traces its roots literally to the Mayflower, and she was a noted philanthropist, lover of the arts, lover of baseball baseball and thoroughbred horse racing. When the Giants left, it ripped her heart out, just like it did so many others, and that's why they were embraced by the broken-hearted Dodgers fans. To me, that was the core, and in so many ways, still is the core of their fan base, all the people from Brooklyn who had their hearts ripped out. I love the story, I tell it fairly early on, of the four kids from Canarsie, who came up with the 'Let's Go Mets' chant. Here they are, they're going to the Polo Grounds the first time the Dodgers, the hated Dodgers now, those turncoats, showed back up, came back to New York to play baseball, but now they're from Los Angeles, and these kids from Canarsie showed up with a bedsheet and got out a can of green spraypaint and went, 'well, we gotta write something on here, how about Let's Go Mets?' They paraded it around the Polo Grounds in a game Sandy Koufax is pitching for the Dodgers and the Mets are losing 10-0, and they're chanting 'Let's Go Mets!' If that's not like Mets history in a nutshell, I don't know what is. Thanks for the great interview, Jason. Very well done.